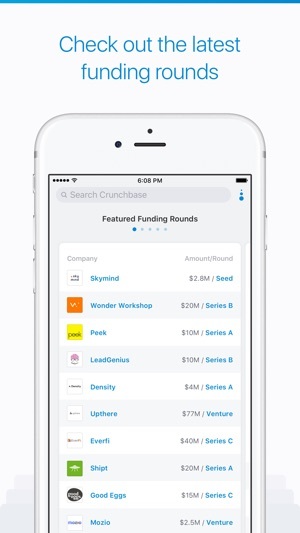 With over 50 million users, Crunchbase is the leading platform for professionals to discover innovative companies, connect with the people behind them, and pursue new opportunities. 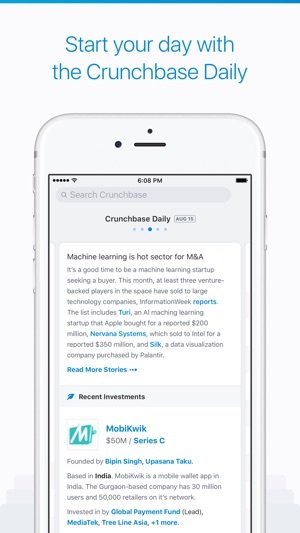 Crunchbase's mobile app is the fastest way to find what you need to know and will quickly become an indispensable part of your day. 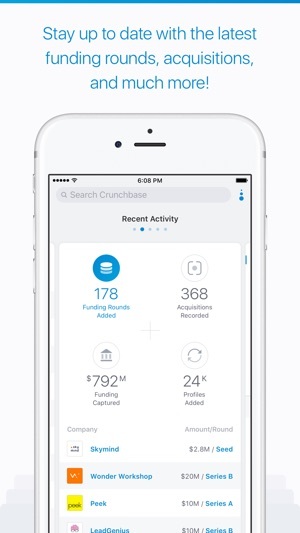 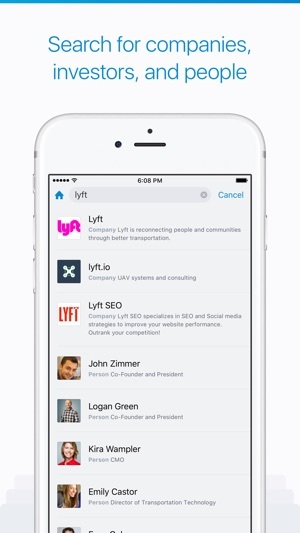 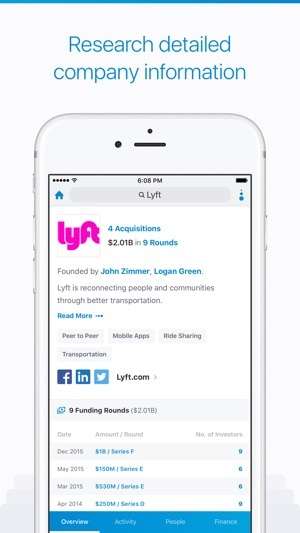 Get the Crunchbase mobile app - the best way to get the latest business information at your fingertips.